The controversial sweetened beverage tax falls flat with some Cook County consumers. 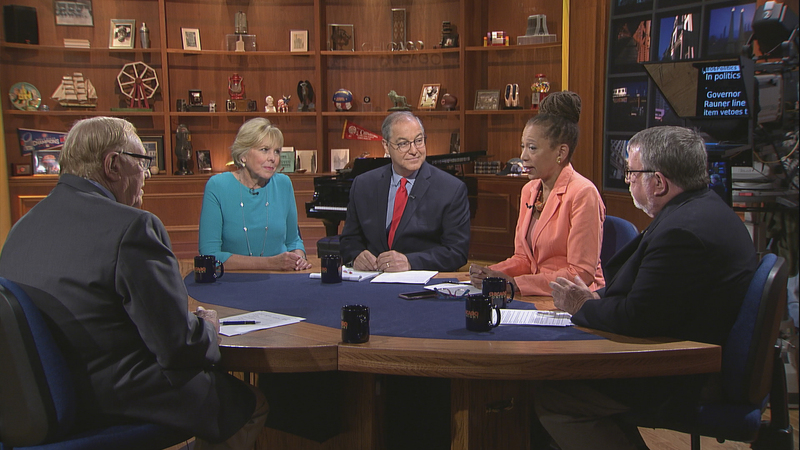 Outspoken Lori Lightfoot keeps her post as police board president despite pushing Mayor Rahm Emanuel on police reforms. Gov. Bruce Rauner issues an amendatory veto of the school funding reform bill, concerning parents across the state. Former U.S. Rep. Aaron Schock says charges against him should be dropped because the feds crossed the line when investigating his sexual orientation. A nasty outfield collision temporarily sidelines White Sox rookie Yoan Moncada and Willy Garcia. And the Cubs give Steve Bartman a championship ring in the hopes of healing a painful past. The conversation continues in our web-extra video. This week, Weisman and guests discuss renewed efforts by Attorney General Jeff Sessions to pursue people leaking information to the press, and how the press protects its sources.